If you have any questions about the H406 information page below please contact us. The well proportioned superyacht Windcrest is a sailing yacht. This 30 m (100 ft) luxury yacht was constructed by Hodgdon Yachts in 2006. Windcrest was formerly called 406, H406. This gracious boat has been brought about by naval architects Fontaine Design Group. 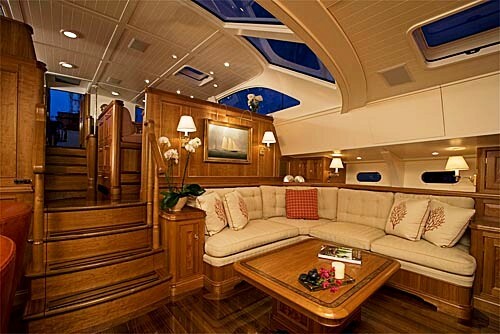 Hodgdon Yachts undertook her interior design brief. 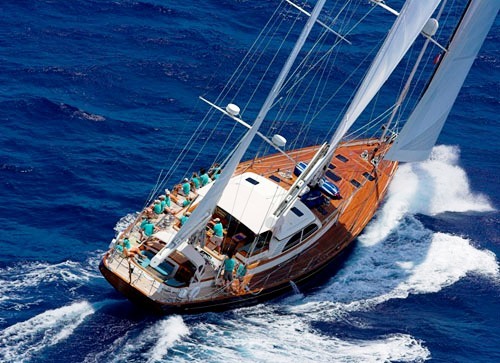 Sailing yacht Windcrest was the 406th vessel launched by Hodgdon Yachts. She was designed by the Fontaine Design Group and built to American Bureau of Shipping "A1 Yachting Service AMS" standards. The yacht is a classically inspired, yet modern sailing yacht with clean sheer lines and graceful overhangs along with a powerful ketch rig. 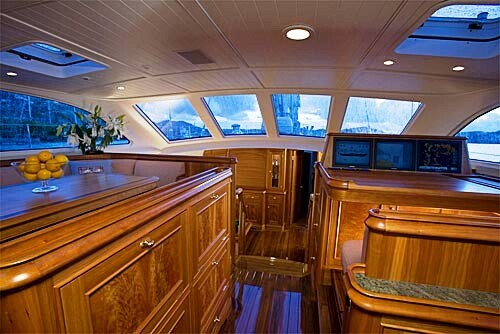 Her layout includes a large pilothouse dining area with excellent sight lines and a fully enclosed navigation station. She features three staterooms with ensuites, and a salon all finished in a traditional beaded panel style in cherry wood. The yacht's general design work came from Fontaine Design Group. The formal naval architect firm drawings are the products of Fontaine Design Group. 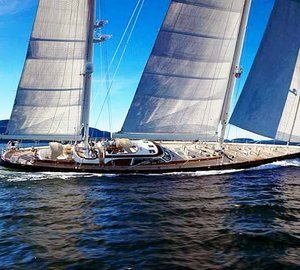 Sailing Yacht Windcrest received her elegant interior designing from the interior design firm of Hodgdon Yachts. 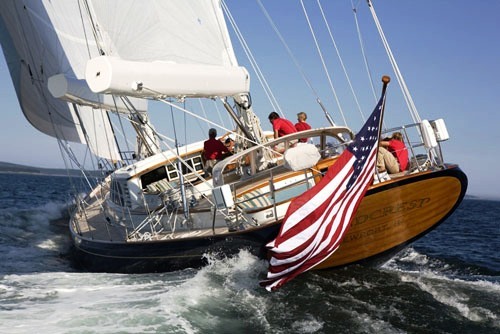 Built at Hodgdon Yachts this yacht was fabricated in the country of the United States. She was successfully launched in Maine in 2006 before being transferred to the owner. Her main hull was constructed with wooden. 30.2 metres / 100 feet. The luxury yacht H406 displayed on this page is merely informational and she is not necessarily available for yacht charter or for sale, nor is she represented or marketed in anyway by CharterWorld. This web page and the superyacht information contained herein is not contractual. All yacht specifications and informations are displayed in good faith but CharterWorld does not warrant or assume any legal liability or responsibility for the current accuracy, completeness, validity, or usefulness of any superyacht information and/or images displayed. All boat information is subject to change without prior notice and may not be current.